Airplane carriers have faced some criticism for removing passengers who are already booked on a flight. Some have argued that it is a violation of the contract to carry law while others put it down to bad customer care. Recently there was a particularly embarrassing incident when a passenger was forcibly evicted in such a violent manner that he sustained significant injuries, which were then shared with the world via social media. From a legal point of view, the question was whether the actions of the carrier were justified and legal. This is the intersection of civil liberties and consumer protections. For example, there are questions about whether a carrier can arbitrarily refuse to carry a passenger. There are exceptions that are based on security considerations, but more often than not, the issues in the USA involve overbooking. The behavior of the carrier representatives can also constitute a cause for criminal and civil action. Safety is a paramount consideration when looking at the legal issues that surround aviation law. Other parts of the law such as immigration and anti-terrorism also feature heavily in discussions about the law in this domain. There are examples where the airline is clearly taking advantage of the customer’s weak position in the bargain. For example, an airline was criticized for booking flights when people were already on board before throwing off someone who had already arrived. As the airlines try to manage their capacities, they should also bear in mind their legal obligations to treat their clients respectfully. 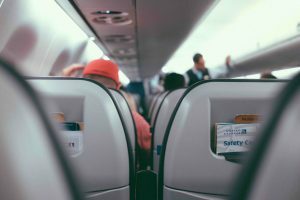 The rules from the Department of Transportation include specific procedures and justifications for ejecting passengers. The airline does not have absolute discretion and cannot act in an irrational manner. Once a passenger has a confirmed seat, he or she is allowed to board unless boarding constitutes an illegal act or a safety hazard. The contract of carriage may contain get-out clauses that ought to be examined by the victim’s attorney in order to ascertain whether the company is in compliance with its own rules. That is beside the expectation of consumer protection under the licensing rules for that particular industry. Furthermore, such rules should be compared with the provisions of the law. Where a conflict exists, the law must take precedence. In some cases, even state law in Chicago is superseded by the federal law of the USA. Does the eviction of the customer constitute a criminal offence? Violence and assault are certainly causes for criminal prosecutions. In this case, a complaint should be made to the District Attorney’s office. The second consideration is that of the financial compensation that is due to the client that is effectively denied a service for which he or she has paid. Some airlines are able to get away with mollifying the client and offering him or her an alternative. Others stick to the official line of defense, thereby inviting civil suits. When it comes to issues that touch on anti-terrorism law as we know it, the complexion of the case changes completely. Chicago is a city that fully signed up to the USA counter-terrorism measures. Therefore, it means that airlines can eject customers whom they have suspicion of being engaged in terrorist activities. Some of the results of the arbitrary exercise of this discretion can be embarrassing, but it is also difficult to bring a successful prosecution to bear. Where appropriate, both the civil and criminal causes of action should be pursued because the evidence that is used in both is peripatetic in nature. For legal assistance regarding this issue, contact David Freidberg, attorney at law now at (312) 560-7100.